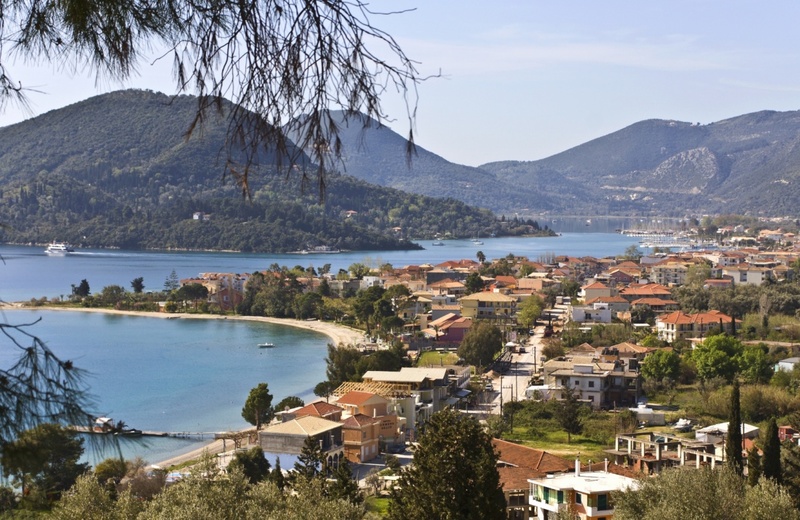 The village is ideally located halfway between Lefkada Town and Vassiliki village and ferries depart from here to the neighbouring island of Kefalonia. The 800 people who live in Nidri permanently have developed its small port to one of the busiest harbours on Lefkada with ferries and cruises to Meganisi, Ithaca and Kefalonia. It's also a top-notch destination for private yachts in the Ionian Sea and the assembly point for the annual Ionian Regatta, the biggest yachting event in the Mediterranean. Find information about selected Hotels, apartments and rooms in Nidri to choose the perfect place for your accommodation.